It was once exclaimed: “What a difference a century makes!” Since Washington’s territorial beginnings, women have worked tirelessly for the public good. From behind the scenes in community organizations to more prominent roles in state politics, they have helped to shape Washington government. 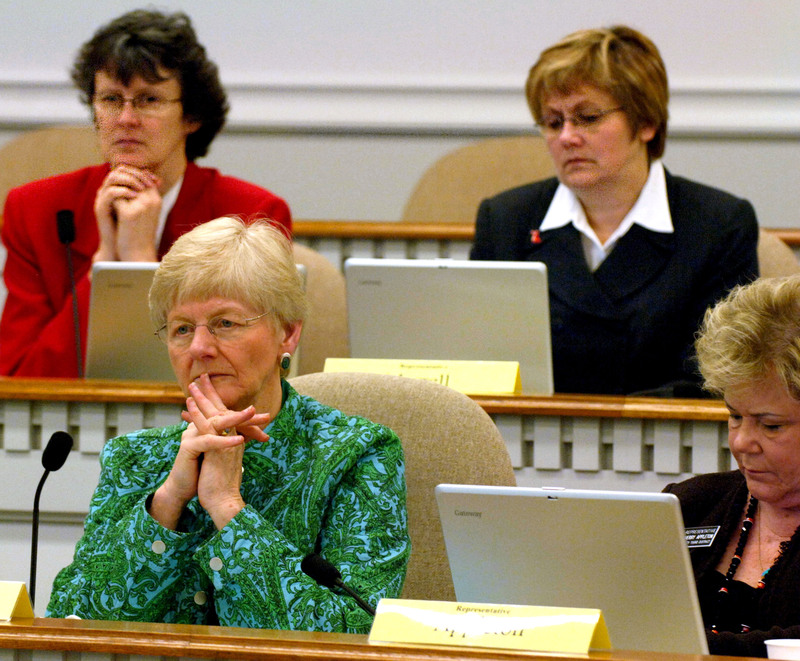 By 2006, women represented a high percentage of Legislators. Listening to testimony in a committee hearing were (clockwise from top, left) Representatives Eileen Cody, Dawn Morrell, Sherry Appleton and Patricia Lantz.